Use this live turtle trap for that "#! @#" turtle that keeps getting your fish! 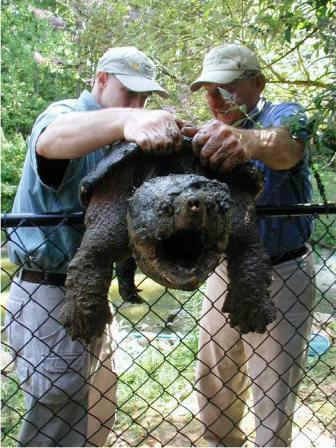 Catch and remove your snapping turtle problem. Take your captured turtle several miles away before you release it. Now available in 2 sizes: Small for turtles under 40 lbs & Large for turtles up to 100 lbs. 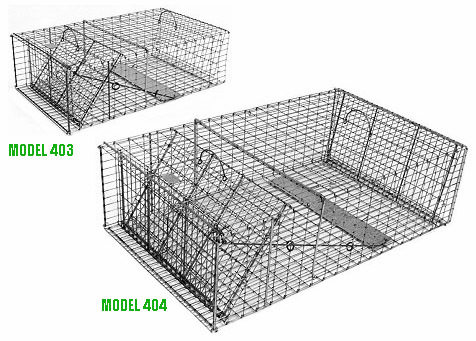 Our traps are the ultimate in convenience and reliability. From Susan H. of Newtown, Connecticut on 7/25/2018 . From Bobby Hudgins of Currituck, North Carolina on 5/30/2016 . From Steve of Quincy, Illinois on 6/9/2015 . From Anonymous of Kansas, Kansas on 7/6/2014 . From Wade Brubacher of North Newton, Kansas on 6/19/2013 . 5/3/2009 – What kind of bait should I use. I live on a small Duck pond on Cape Cod Massachusetts.